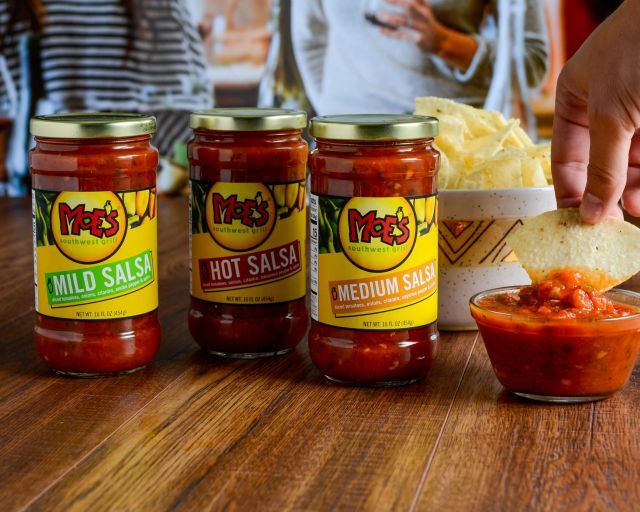 Moe's Southwest Grill expands their grocery store footprint with the introduction of new chunky salsas. The new salsa line features seasonal peppers, tomatoes, cilantro, onions, garlic, and lime juice. There are three varieties at launch: Mild (smoky ancho and dark chili, Medium (cayenne), and Hot (habanero). You can find the salsa online at Amazon as well as at several grocery store chains including Publix, Price Chopper, Shoprite, Tops, Buehler's, Dave's Market and Heinen's. A 16-oz jar of Moe's salsa carries a suggested price of $3.99. Photo via Moe's Southwest Grill.